During the night 11/26-11/27/44 I retreated with my company squad of 14th panzer Infantry Company, GrenReg 89, from the fringes of Weisweiler to Langerwehe via Frenz. This was according to orders I had received. Company squad meant I officer and 3 runners. Coming from Frenz we reached a highway bridge that night and that promised maximum protection against artillery fire. At first I thought we should dig in there until 1 st Tank Destroyer Platoon (Sgt. Peters) and the remainders of 1./89 passed by. But since I didn't have any connection to I. Battalion, GrenReg 89 that night, we marched on to Langerwehe, looking for the regimental command post. We found it in a basement on the northwestern fringes of Langerwehe, near the road to the Frenzerburg. I reported at the regimental office and then set up my company command post in the basement of the house next door. I reported with the regimental CO, Lieutenant Colonel Lembke, in the morning of 11/27/44. Early in the evening of 11/27/44 1 left with one runner toward the Frenzerburg. The idea was to organize the tank defense in cooperation with Sergeant Peters, the leader of 1 st Tank Destroyer Platoon, who had been sent there earlier. We walked along a back road, downhill until we reached the meadows. This edge of Langerwehe did not lie under American artillery fire at that point. We could see the Frenzerburg further back in the meadows in the fading light of dusk. That was very important because we didn't really know the area well and didn't have maps. We went along a drain that was partially covered by willow trees and that led toward the Frenzerburg. Ahead of us everything was quiet. No American artillery fire, no tanks shooting. Only the northwestern part of Langerwehe was still under artillery fire. The ditch that we followed in the dark led to the Frenzerburg, more precisely to the back of the castle. Very shadowy, we could make out an orchard. We sneaked through the orchard toward the parts of the castle that had been damaged by shells, not knowing where exactly our troops were positioned and of course not knowing the positions of the Americans either. 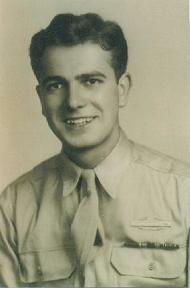 When we heard German words, we approached two soldiers of 1./89 and asked for Sergeant Peters. We met him in a hall on the ground floor in the main part of the castle. He walked across the inner yard with me and pointed out the positions of the mortar and the two grenade launching guns. A destroyed Sherman tank stood in the gateway. It blocked the gate. I don't know who had hit the tank. Probably soldiers of 1./89 or soldiers who had been here before them. On the way back from the grenade launcher positions I met my old fellow group leader from 3rd Platoon of 1st Company, GrenReg 89, Willi Schriewer. We had been in that platoon together in 1940. He was now a First Lieutenant and led the 1st Company of GrenReg 89 that had to defend the Frenzerburg against American infantry assaults but also against a few tanks. We were very happy about this chance encounter after four years. As we were standing there in the dark, First Lieutenant Schriewer told me that American infantry occupied the houses along the road and I think, if I recall correctly, also part of  the outer ring of the castle. There were still German wounded in that part who had been taken prisoner. I didn't know where the outhouses of the castle were located because I had entered the castle from the rear, i.e. through the orchard. He wanted to free these German wounded that night and was about to organize an assault squad. I offered him supporting fire and anti-tank means through a grenade launcher. Subsequently, I left with my runner, we had to get back to Langerwehe. We walked along the ditch in a frantic pace and we advanced quickly since we now knew the enemy positions. We reached Langerwehe without drawing artillery fire. I reported to Lieutenant Colonel Lembke how the positions and situation in the Frenzerburg looked like. I also told him about First Lieutenant Schriewer's plans to free the prisoners. Late in the afternoon on 11/29/44 I received the order, straight from the regimental CO, to lead a company of 3rd ParaDiv into the Frenzerburg after dark to relieve the remainders of 1st Company, GrenReg 89. I met the soldiers of the ParaDiv near the regimental command post. With one runner and the company leader of the about 80 men strong company I went forward to the Frenzerburg along the ditch. We didn't draw any artillery fire on the way. This was a signal to us that the Americans hadn't noticed the advance of the relief troops. Inside the Frenzerburg I took the company leader of the paratroopers to the company leader of I ./89, First Lieutenant Schriewer. Schriewer told me on that occasion that he had freed the German wounded and had taken 50 American prisoners in a successful assault the previous night. First Lieutenant Schriewer did not want to join his men on their march to Langerwehe, but instead opted to stay in the castle until he could instruct the new company by daylight. Thus I returned to Langerwehe only with my runner along the now well-known path, around midnight. No artillery fire. I reported to Lieutenant Colonel Lembke that his orders had been followed and I told him about the current situation inside the Frenzerburg.